What's this all about? See Hemant Mehta's post at The Friendly Atheist. I'm not the one raising or holding the money. Let’s show Jessica that we appreciate what she’s done and let’s encourage other students to do the same thing. 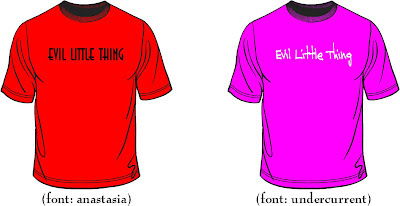 Now you can buy a nifty Evil Little Shirt and a portion of the money goes to the scholarship fund.